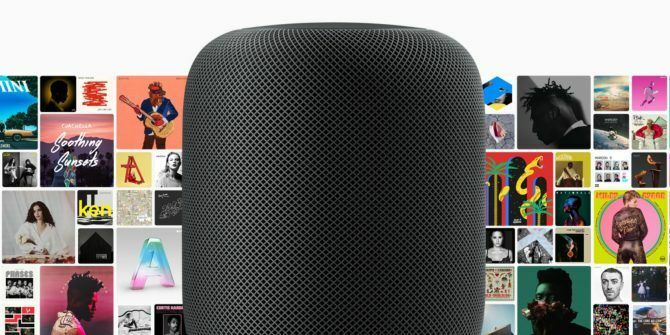 Apple has finally released its long-awaited smart speaker The Apple HomePod Is Finally Ready for Launch The Apple HomePod Is Finally Ready for Launch After years of development and delays, Apple is finally ready to start shipping the HomePod. But can Apple's new smart speaker compete with the Amazon Echo and Google Home? Read More , with the HomePod landing in stores on February 9. However, with the HomePod being a brand new product from Apple, the company thinks its customers may need a little help figuring out how to use it. In order to help new HomePod users get to grips with their new smart speakers, Apple has published a HomePod User Guide AND a trio of videos on the Apple Support YouTube channel Apple Support Now Offers Tutorials on YouTube Apple Support Now Offers Tutorials on YouTube Apple Support now has its own YouTube channel, and while pickings are slim at the moment, it looks like it will soon be filled with tutorials. Read More . All of which suggests Apple realizes the new HomePod isn’t as simple to use as the notoriously user-friendly iPhone and iPad. The first video explains how to use Siri to listen to music on your HomePod. You can ask Siri to play songs from specific genres, or from your own carefully curated playlists. Plus you can ask Siri to skip tracks and turn the volume up or down. The next video explains how to use the limited touch controls on your HomePod. Beyond the volume up and down buttons you can tap to pause a track, tap twice to skip, tap three times to return to the previous track, and touch and hold to activate Siri. The final video, and potentially the most important one, deals with changing the settings on your HomePod using the app. You can change the room assignment, which Apple Music account you’re linked to, and Siri’s voice. You can also reset your HomePod to sell it on. Finally, there’s the HomePod User Guide, which, according to Apple, includes “everything you need to know”. Everything is broken down into various sections, with details on how to get started, how to listen to Apple Music, and how to hear news briefings from various sources. With the HomePod, Apple is venturing into a new field packed with competition Amazon Echo vs. Google Home vs. Apple HomePod Amazon Echo vs. Google Home vs. Apple HomePod In this article, you'll learn the differences between the Amazon Echo and Google Home. We'll also take a look at what features an Apple speaker may include. Read More . And the company clearly doesn’t want anything to prevent the HomePod from succeeding. Hence the desire to help users get the most out of their new HomePod from Day One. Have you bought a HomePod yet? If so, what prompted you to spend your hard-earned cash on one? Have you found the HomePod easy to use? Or will you be making use of Apple’s user guide and tutorial videos? Please let us know in the comments below! Explore more about: Apple, HomePod, Siri, Smart Speaker, Speakers, YouTube.